HomeBait for the phish: The subject lines that reel them in. ← Any way you slice it, Google continues to dominate the search ecosystem. I’ve been lucky. I’m semi-retired/self-employed and frequently recognize fake “business” emails, but I don’t get many. They usually involve password or account problems I know I don’t have. I derive more satisfaction by reporting as spam every unwanted message from a politician! I only got tricked once into giving out my password, got suspicious and had the bank change it in time. It was on a new phone, and I was new to using cellphones. The scam I keep running into, though, is actually on a long-suffering AT & T land line, kept for almost sentimental reasons. Someone with an Indian accent calls regularly pretending to be Microsoft security. A threatening voice claiming to be from the IRS leaves unconvincing messages. And a female from “card services” is always trying to get into my credit account and warn me of my terrible credit rating (which actually is 810). It helps that one keeps life fairly simple and can untangle the spaghetti coming in one’s direction. There is no substitute for common sense … Trouble is, it’s not that common! Here’s one I received just today: subject “[Password_Expiration]” from “Microsoft Password”. I easily identified it as a phishing attack because the sender’s email address didn’t remotely resemble a Microsoft domain — a dead giveaway which reveals that most phishers are idiots to boot. What many people don’t realize is that, when you send an email message, you can use anything you want as the “from” (sender’s) email address – just as you can use any postal address (fake, or real) as the return address when sending a letter through the U.S. Postal Service. 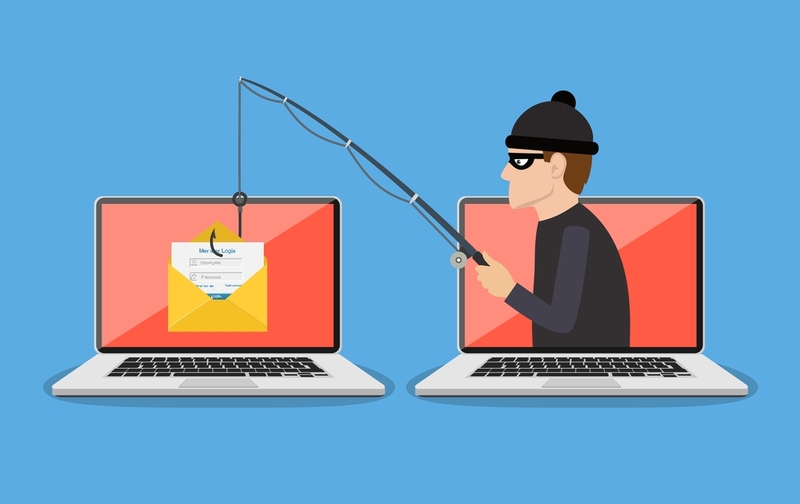 Phishers take advantage of this “feature” to frighten recipients into thinking they’ve been hacked when they receive an email from themselves. This tactic, known as “spoofing,” gives the attack more credibility than the usual run-of-the-mill attacks perpetrated by idiots, thereby improving the odds that victims will click on the dreaded link. If you receive an email like this, it’s easy to tell if it was spoofed. Simply look for the message in your “Sent Items” folder. If you were truly hacked, you’ll find it there because the sender used your credentials (i.e. your email address and password) to compose and send the message. Otherwise the message was spoofed. My suggestion: Whether you are the victim of a hack or a phishing attack, NEVER click that dreaded link! Instead, if you were hacked, change your password immediately. On the other hand, if the message was spoofed, simply delete it.